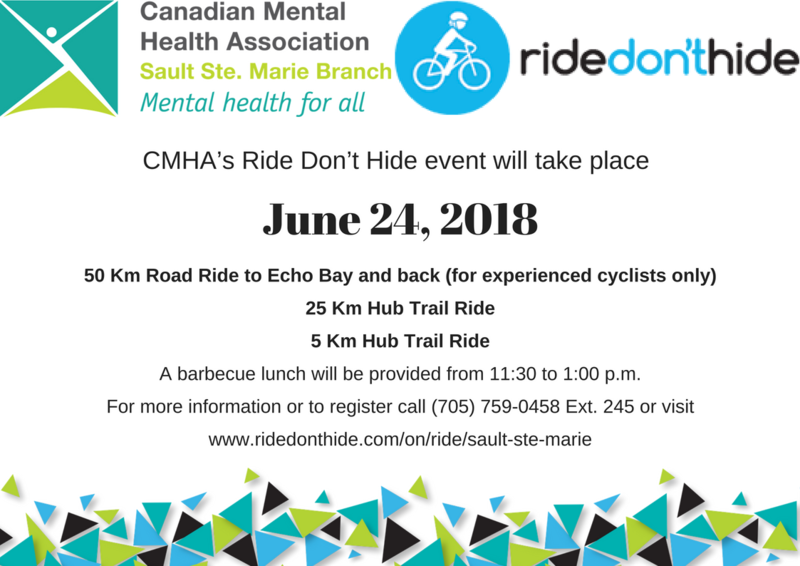 On June 24, 2018, we will be hosting our 4th Annual “Ride Don’t Hide” event. We are cycling in plain sight to put an end to the stigma of mental illness. We are also riding to raise funds for mental health programs and services in our community. When we hide, mental health stays hidden. When we ride, we create change. This year on June 24, ride in plain sight. Ride Don’t Hide. It’s more than the name of the event. It’s the reason we ride. To sponsor the CMHA Stigma Stingers, please visit the team page. 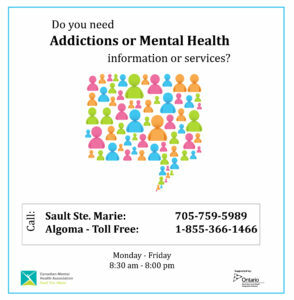 Please click here for more information on CMHA Sault Ste. Marie’s 4th Annual “Ride Don’t Hide” event!